There are many foreigners currently working here in our country. A lot of tourists also visit Malaysia too. Besides that, students from overseas, for example from Taiwan and some African countries also come to our shores to attend higher institutes of learning. The above group of people, foreigners, tourists and students face a massive problem especially where transport is concerned. Our transport facilities, unlike in Singapore or Hong Kong, can be considered as very poor. It is in fact, nothing to shout about. Foreigners who come to our country feel, they can overcome their transport woes here in Malaysia should they be allowed to rent vehicles. If they are allowed to own vehicles here, it would be a better solution. A few years ago, my brother-in-law, Mr Ooi and his wife, Molly visited England. The above couple, rented a large saloon car and went around sight seeing the United Kingdom. It was not only cheap, it was convenient as well. My son-in-law, Mr. Kin and his wife Swan Nee went round Australia in a large limousine when he visited the continent a few years ago. Kin was in Australia doing his studies at Monash University. He therefore knew Australia rather well. By giving or quoting examples of tourists renting a car or a limousine in countries that they visited, what am I trying to imply? In fact, it makes it more convenient for tourists or foreigners who are working or visiting a foreign country if they are able to drive themselves there. But first of all, a foreigner, a tourist, or even students who are in a certain country and intend to drive there, should first of all possess a driving license. Then only are such people mentioned above permitted to rent a car or allowed to own a vehicle there. People who stay in a particular country for long periods would sometimes like to convert their domestic licenses into licenses of the country where they are residing. Many readers of this blog have from time to time written in to enquire if the above can be done. As a matter of fact, the Geneva Conference 1949 and 1968, has agreed that member countries accept each other countries licenses for use. As such, Malaysian licenses, normally known as C.D.L. or Competent Driver’s License can be used to drive in a country where they are visiting. Although domestic licenses are allowed to be used in other countries, nevertheless, it is always better for one to obtain an I.D.L. or an International Driving License before going overseas. This would eliminate a lot of problems. Not too long ago, the Malaysian authorities have announced that Taiwan and Malaysian authorities have mutually agreed to accept each other’s driving licenses for conversion purposes. Malaysian authorities say Taiwanese road users can now automatically convert their licenses. Taiwanese license holders can now apply to convert their licenses into Malaysian ones at any Road Transport Department or J.P.J. office. However, certain procedures have first to be adhered to prior to conversion being allowed. Conversion of Taiwanese licenses can only be allowed after it has been authenticated at the Taipei Economic And Cultural Office in Malaysia, said the Minister of Transport Datuk Seri Kong Cho Ha in a statement yesterday. Further, the minister added that both countries have agreed on the move to provide greater convenience to Malaysian and Taiwanese drivers. Up to date, Malaysian and Taiwanese authorities have not been able to come to a resolution for conversion. Two or three things seemed to have blocked the way towards automatic conversion of both our driving licenses prior to this move being made. One was, while Malaysians drive on the right hand side of the road, as in England and Australia, Taiwanese drivers drive instead on the left, like the Americans. The authorities here in Malaysia feared problems might arise because of this. Secondly, it should also be borne in mind that the steering wheels for cars used in Malaysia are situated on the right hand side, whereas in Taiwanese cars, the steering is located on the left hand side instead. Another contention which the Malaysian and Taiwanese counterparts could not agree upon was the standard of tests that were conducted by the two parties which appeared to differ rather distinctly. A great disparity was said to have existed it seems. Prior to the agreement between Taiwan and Malaysia agreeing to mutually accept each other’s driving licenses, the Road Transport Department has all along been accepting driving licenses of certain countries like England, Australia, and Australia being allowed to convert to Malaysian licenses. Way back in 2000, I came to know of a Bangladeshi national who successfully succeeded in getting his driving license converted into Malaysian driving license. How delighted the Bangladeshi would have felt. A neighbour, who lives directly behind my house, a Puan Ah Pang, who is a wan tan mee seller, has a daughter-in-law from Vietnam, who has also successfully managed to get her license converted into Malaysian license. But it should be reiterated here than not all driving licenses from abroad can be converted into Malaysian driving licenses. The Road Transport Department possesses certain rules and regulations. If you intend to convert your country’s driving license into our license, you are advised to contact our authorities at their headquarters which as you know is located in Putrajaya. Best of luck to you in your attempts. I am elated to know that your country’s license can be converted into Malaysian licenses! Still on the topic of conversion of licenses, the United Kingdom allows driving licenses from Singapore to be converted into British license. But unfortunately, Malaysian driving licenses cannot be converted. The reason being, Malaysian licenses are considered to be of an inferior standard. Therefore, a Malaysian who wants to keep on driving in England after 120 days, has to take the necessary steps to secure a British license. 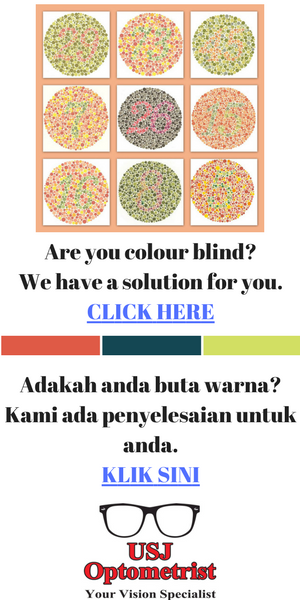 I’m Indonesian on Employment Pass 2Years in KL. If I go straight to JPJ, do you think my application can be processed by JPJ like any other country allowed in conversion list ? or should I just try to obtain new Malaysian Driving License through course+test ? Even if your Indonesian driving license can be converted into a Malaysian driving license, with discrepancies in your name, the Malaysian authorities will not allow any transfer of conversion to be done. Regarding my book, you can order it only. Click on the link below to learn how. can our malaysia driving license drive at taiwan for a short term vacation – like for 7 days? or we need to get a internation driver’s license? Yes, you can drive in Taiwan with your Malaysian license. can our malaysia driving license drive at taiwan for a year? Thank. 1 year is too long of a time. Few weeks, maybe. Cikgu, I’m headed to Taiwan next week and plan to drive for 3 days. I noticed in Avis’s T&C that an International Driving Licence is required. Have the rules changed? Or can I proceed to drive with the standard Malaysian driving license? Thanks. Dear Pat, You can use Malaysian licence but always best to get an I.D.L. 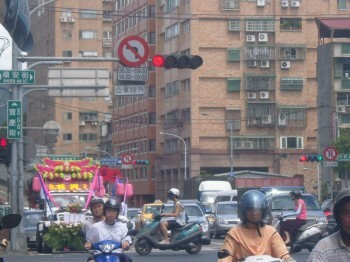 Hi, found this blog while searching for info for driving in taiwan. Recenty, i went to tk my IDL in JPJ and was informed that it is valid for 132 countries except for taiwan and few more countries. How can i get a taiwan driving licence? Intend to rent a bike to tour the country. 150cc bike require IDL but malaysian seems not recognise. Contact a Taiwan driving school and tell them your requirement.